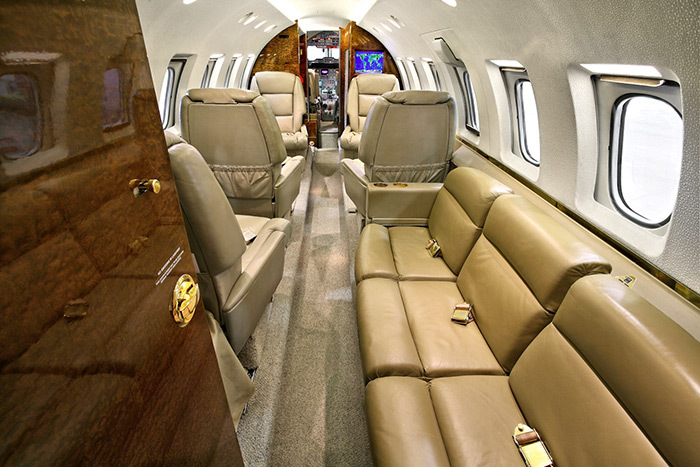 The Hawker 800XP is one of the more recent additions to a long line of private aircraft choices. Originally designed and developed by British Aerospace (BAE) as the BAE 125-700, it was the first corporate jet to be built with an EFIS cockpit. 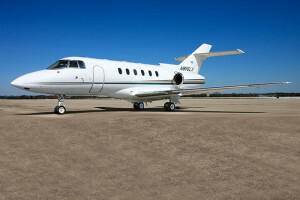 When Raytheon purchased BAEs Corporate Jets division in 1993, a later version called the 125-800 became the Hawker 800. Production moved from the United Kingdom to the United States in 1996 after the 800XP was certified. The Hawker 800XP is a mid-size corporate aircraft powered by twin engines. It is flown by a pilot and a co-pilot and can carry 8-13 passengers. It is 51 feet 2 inches long, 18 feet 1 inch tall, has a wingspan of 54 feet 4 inches, and is powered by two Honeywell TFE731-5BR turbofan engines. Today, it is manufactured in several pieces at different locations in the UK and assembled and tested in the US. Over the years, this plane has changed hands several times and has been owned and/or manufactured by several of the most prominent companies in the private aviation industry. It was originally developed by BAE and assembled by Beech Aircraft. Raytheon’s purchase of the BAE corporate jet division in 1993 was the first change in ownership. In 2007, Raytheon Aircraft Company was sold to Hawker Beechcraft, who became the manufacturer until 2013 when it went into bankruptcy. Unfortunately, the restructuring after the bankruptcy resulted in the discontinuation of the jet line, ending the world’s longest running corporate jet production program. The XP in the name stands for Extended Performance. This model has more powerful engines that enable the plane to perform better during its initial climb and while at its cruising altitude. 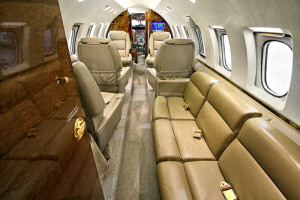 There are several variants of the Hawker 800XP currently in use. There is a military variant that is used by the militaries of South Korea, Japan, Brazil, Pakistan, and Mozambique. It is used for reconnaissance, search and rescue, and surveillance. The Hawker 850XP is another variant that includes winglets which provide an extra 100 miles of range. We have two of these fantastic executive jets in our fleet: Hawker 800XP – N816LX and Hawker 800XP – N830FL. DuPage Aerospace also enjoys an outstanding reputation for providing world class Hawker maintenance on the aircraft.